Already listed with our Phuket car repairs and maintenance directory? Get the best quality information for car repaired and maintenance in Phuket that will help you to find the highest standard service. 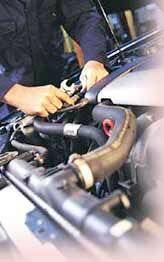 Phuketindex.com, we have a list of car repaired and maintenance center around Phuket to answer all at your need. Anuphas Ford Co., Ltd. has been set up by Ford Sales & Service (Thailand) Co., Ltd. on July 18, 1997. All insurance work is welcomed. Tiansin Motors Co., Ltd. is one of the premier Mitsubishi dealers in Phuket. Toyota Pearl Toyota’s Dealer Co., Ltd., the dealer in Phuket over 27 years experience which proud to serve the greatest service to every customer with honesty and sincerity.